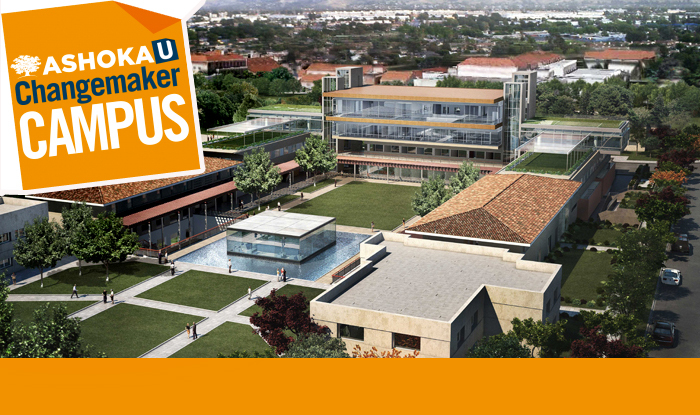 Claremont McKenna has been designated a Changemaker Campus by Ashoka U for being a leader in social innovation in higher education. CMC is the 30th campus to join the Changemaker Campus Consortium. The Changemaker Campus designation reinforces CMC’s singular mission to educate its students for “thoughtful and productive lives and responsible leadership.” CMC has integrated classical liberal arts and real world experience through a series of leadership, social innovation, entrepreneurship, and community engagement experiences. The Kravis Leadership Institute, the Center for Innovation and Entrepreneurship, and the Center for Community Engagement create opportunities for students to learn how to create positive change. Launched in 2008, Ashoka U offers the Changemaker Campus designation to leading institutions in social innovation education. These institutions share the vision for higher education to become the next global driver of social change by transforming the educational experience into a world-changing experience. Ashoka U is an initiative of Ashoka, the world’s largest network of social entrepreneurs. Building on Ashoka’s vision for a world where Everyone is a Changemaker, Ashoka U takes an institutional change approach to impact the education of millions of students. Ashoka U collaborates with colleges and universities to break down barriers to institutional change and foster a campus-wide culture of social innovation.